A new month has arrived. Bring on the turkey, dressing and Christmas decorations. 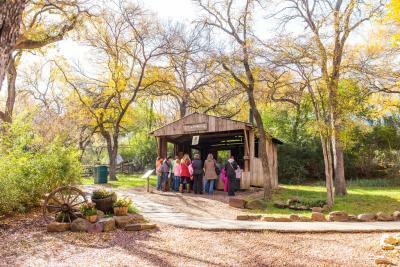 Here is your monthly roundup of things to do with your family this month. 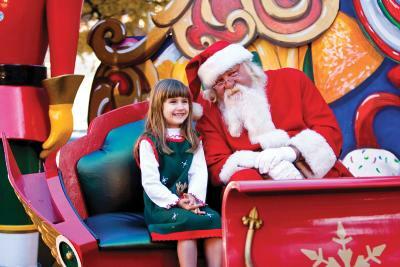 Click to find out more information about family-friendly things to do, free attractions and our holiday checklist. Hang on to the eeriness of Halloween through November 4 and catch the final performance of "Into the Woods," a rendition of the modern classic performed by the students at the Fort Worth Academy of Fine Arts. This is not your average fairytale and is recommended for the older children. Get the details. Take a day to explore the Fort Worth Museum of Science and History along with an OMNI IMAX® movie night experience. "Journey to the South Pacific" follows a young boy through the wonders of his island life. With astounding graphics, get ready to be amazed right along with the kids! Get the details. The Log Cabin Village is hosting two great events Saturday, November 11! First, you can learn how to prepare your own food over an open-pit fire from 9 a.m. to 12 p.m. during the Firepit Cooking Class. Stcik around for your chance to learn the art of Cherokee Basket Weaving from 1-4 p.m. Both events make for a great day of learning and fun. Get the details. Spend the afternoon at Cavile Outreach Opportunity Library (COOL) as they host Turkey Wars. The whole family will get a kick out of helping “free the Turkeys of Novemberland from the Pilgrims frightful feast by learning how to operate and lay siege with DIY catapults and trebuchets.” So much fun! 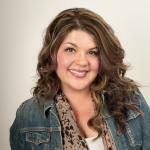 November 18, 2-3 p.m. Get the details. Introduce your kids to this timeless holiday classic with some of the most memorable Christmas songs at Bass Performance Hall, November 14 -19. 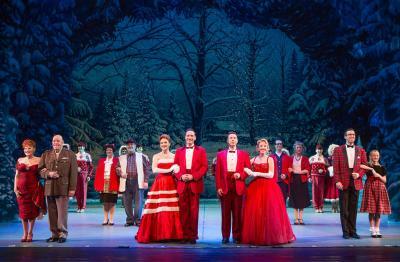 This merry and bright musical is sure to get your kids in the holiday spirit! Performance times and prices vary. Get the details. 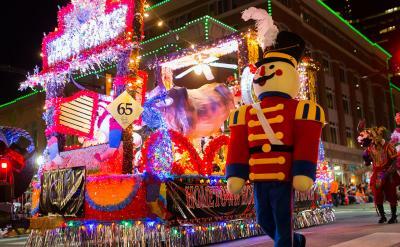 Kick off the Christmas season with a 35-year tradition everyone will enjoy - the XTO Energy Parade of Lights. Starting at 6 p.m, witness the holiday festivities come to life including new floats, giant balloons, entertainment and other surprises. It&apos;s best to plan on being there a little early to get a good spot or reserve your seat online. Get the details. 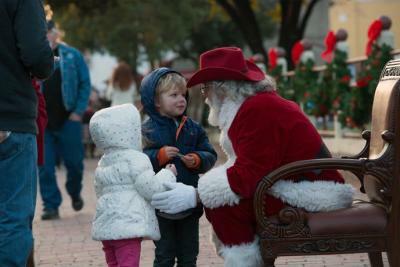 Expect a fun-filled Black Friday from 11 a.m. to 4:15 p.m. at Stockyards Station to celebrate the official start of the holiday season. Cowboy Poetry, story time with Mrs. Claus, TWO Herd Cattle Drives and, of course, the arrival of the Big Man himself are just a few of the fun to be had. Get the details. No more waiting in long lines to see Santa Claus this year. You can now check-in using your phone number! Shop or dine in Sundance Square while you wait for a text to say it’s your turn to see Santa near the live 65-foot Christmas tree. Get the details. Back by popular demand, Casa Mañana Theatre opens the 2017 holiday season with this delightful tale of Santa on Friday, November 24. The story begins when Santa decides he might retire and the fun, holiday spirit-filled musical builds from there. Get ready for a tune your family will sing throughout the season. Get the details. What better time is there than the first weekend of the holiday season to have a fancy night out with the kids? At "Home for the Holidays," you will have a chance to hear the the Fort Worth Symphony Orchestra perform your favorite seasonal songs. The evening even includes a special visit by a man in a red and white suit. Get the details. Special experiences and memories are what the holiday season is all about. Take the kids to see THE POLAR EXPRESS: AN IMAX EXPERIENCE at the Fort Worth Science and History Museum’s first Saturday Pajama Party of the season on Saturday, November 25. There will be activities and hot chocolate for every "passenger." Get the details. It’s the most wonderful time of year in Texas, when the weather is a bit cooler! Enjoy the Panther Island’s outdoor ice skating rink. 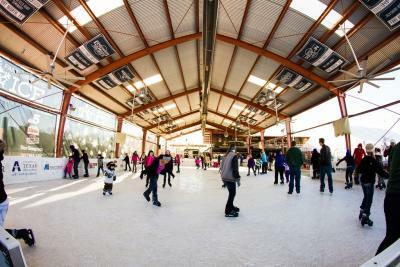 It’s the only outdoor rink in Fort Worth and will sure to become a family tradition. Get the details. 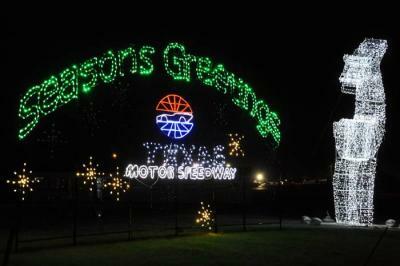 Take Christmas light viewing to a whole new level at Texas Motor Speedway during their Gift of Lights production. You will see over 500 light displays and be able to stop into Santa’s Village. Proceeds benefit Toys for Tots, Christmas Wish, the Ronald McDonald House of Fort Worth, Scottish Rite Hospital, Speedway Children’s Charities and the Fort Worth Police Officers Association. Get the details.